Early On Oakland serves families of children birth to three years who have a health condition or a developmental delay. If that little voice inside your head is telling you that something isn’t “quite right” with your baby or toddler, don’t wait to reach out for help. Put your mind at ease, and give your child the help he or she may need by calling Early On Oakland today! For free information and resources about your child’s development, call (248) 209-2084 or toll-free at (866) 456-2084. Farmington Public Schools’ Early Childhood Centers provide a well-designed physical environment, highly qualified staff, and developmentally appropriate curriculum to create a unique world to nurture and challenge your young child. They offer many programs, including: Child Find, Early Intervention, Head Start, Great Start Readiness Program (GSRP), and Preschool Intervention. For more information, call Almeda at (248) 489-3808 or Farmington Community School at (248) 489-3373. C.A.R.E.S. will offer needed support in the areas of food, clothing, job education and training as well as access to other community and county support services — all on one campus. For food pantry and clothing closet information, call (248) 474-8231. 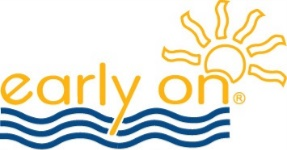 Oakland Schools Early Childhood Development works collaboratively with Oakland County schools and provides information, resources and referrals to help parents succeed in their essential role as children’s first teachers. Call the general patient information line at (844) 456-5497 for assistance. Starfish Family Services serves vulnerable children and families in metropolitan Detroit. As a leading provider of Early Head Start, Head Start, and GSRP programs, they embrace a comprehensive strategy to address many challenges that children and their families may face at home. In addition, they provide parenting programs and children’s mental health services. For more information, call (734) 713-9200. 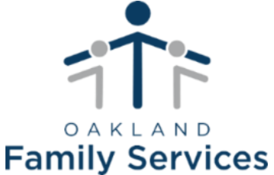 Oakland Family Services provides programs for individuals and families. The Before 3 to Succeed initiative offers parenting tips to help babies grow and thrive and screenings to find out if your baby is developing on track. Early childhood programming includes Fussy Baby, Parents as Teachers, Early On and Early Learning Communities. Services are offered for children with or without delays. For more information, call (877) 742-8264. The Health Division’s Children and Families Services include: Children’s Special Health Care Services, Community Nursing, Hearing Testing, Immunizations, Child Development Assessment, Lead Poisoning Prevention, Nurturing Parent Program, Nutrition Services, Vision Testing and WIC. 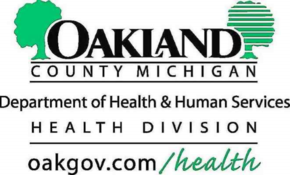 Call the South Oakland Health Center at (248) 424-7000 for information. The Nurse on Call hotline offers information about health and related resources. Calls are answered from 8:30 a.m. — 5:00 p.m. Monday through Friday at (800) 848-5533. The Oakland Livingston Human Service Agency (OLHSA) provides services to assist families and individuals to succeed. A variety of early childhood programs (Early Head Start, Head Start, GSRP, WIC) are offered that provide support, education and help to enable self-sufficiency for children and their families. Call (248) 209-2600 for the Oakland County Central Office or 517-546-8500 for the Livingston County office. 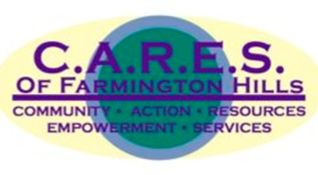 Farmington Youth Assistance (FYA) provides confidential, short-term counseling/casework and referral services for students under the age of 17. Any family that resides within the Farmington Public Schools District is eligible to receive services and participate in FYA activities. Call (248) 489-3434 for information. For advice on possible poisoning, toxic substance or any other environmental hazard emergency, call (800) 222-1222, 24 hours a day, seven days a week. 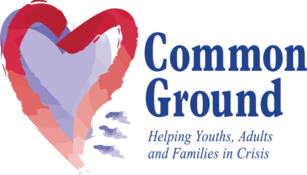 Common Ground is a 24-hour crisis services agency dedicated to helping youths, adults, and families in crisis — helping people move from crisis to hope. They provide Resource & Crisis Helpline/Text/Chat, crisis intervention services, legal clinics, and more. Call (800) 231-1127 to speak with a professionally trained Helpline volunteer. This is a suggested list of resources and is not comprehensive of all that is available. The Farmington Community Library provides a variety of materials, services, programs and information to help meet the needs of families with young children. Stop by to choose books, ask for help or call us for assistance. We look forward to seeing you.